The Building Better Opportunities (BBO) Stakeholder Managers contribute to the overall success of the BBO Programme in D2N2 by engaging and working collaboratively with a range of Public, Private and Third Sector stakeholders to ensure the Programme is effectively delivered across D2N2. This exciting programme aims to combat the root causes of poverty, promote social inclusion, challenge long-term unemployment and empower socially excluded people. 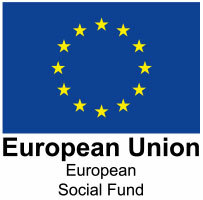 This project is jointly funded by the Big Lottery Fund and the European Social Fund. Coordinated by East Midlands Chamber as the central host organisation, Stakeholder Managers are based within the four upper tier Local Authorities (City & County Councils). The BBO Stakeholder Managers play a vital role in raising awareness of the programme, by promoting effective operational and strategic links and sharing of best practice, with the aim of embedding all three BBO Pathways across D2N2, to ensure a seamless service. The three BBO strands which are promoted under this contract are Towards Work (Groundwork Greater Nottingham), Opportunity and Change (Framework Housing) and Money Sorted in D2N2 (St Ann’s Advice).